3/12/14. That’s when American University beat us for the Patriot League Championship on our home floor. That’s also when they became enemy number one for everyone on the Boston University basketball team. To say this game, this rematch, has been on the collective mind of everyone since the loss would be an understatement. There is no game I have been looking forward to that comes even remotely close to this. I have wanted another crack at AU for close to a year. I don’t even play and I want to dunk on every player and coach from the Eagles. Tomorrow is going to be intense. Tomorrow is going to be amazing. I get the game on the microphone. The guys are out to destroy. This is going to be the game of the season. Must win is putting it lightly. Seriously I cannot even properly put into words how much I want to win this game. I would give just about anything. 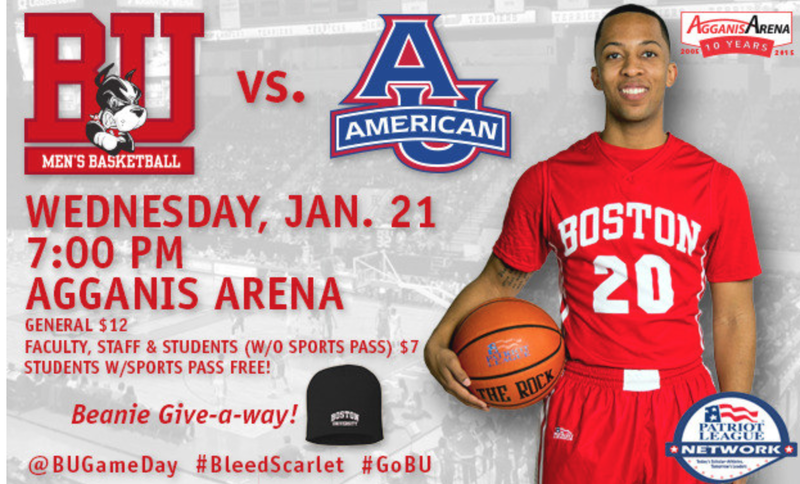 It is your duty as a student of Boston University (assuming you are one) to come out tomorrow night and support the team. Plus, free hats. Free and hats? Sign me up. I beg of you, please make this a game to remember. You won’t want to miss the sweetest victory possible: Revenge.